New sign for the new clinic! We don't have a move in date yet but we will keep you posted! ​ Big or Small, We Care for them All! 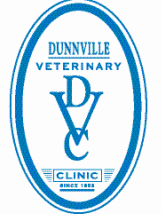 ​Since 1952 we have been a mixed animal practice with a mission to provide genuine health care to all our clients and their pets. We have a fleet of five mobile units service farms throughout the Haldimand and Niagara Region. Our doctors and staff aim to exceed expectations in everything they do because we know how important your pets and farms are to you. If you are an existing client, please let us know.